The first of a projected three volumes collecting Mr. Moynihan's ongoing webcomic detailing "the spawning of worlds, and the trajectory of consciousness on Earth." This oversize, full color, hardcover volume is published under the auspices of NoBrow, and is another feather in their cap of excellence in craft (printed in Belgium!). 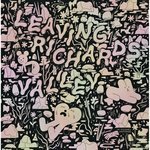 Jesse Moynihan has been producing adventurous self-published comics for quite awhile, as those intrepid Copacetic customers who managed to score Backwards Folding Mirror and/or Follow Me already know. 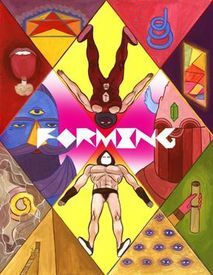 Forming is by far his most ambitious project yet, and we feel confident in recommending it to fans of C.F's Powr Mastrs, Frank Santoro and Ben Jones's Cold Heat, the works of Yuichi Yokoyama and all those waiting around for the next Kramers Ergot. Yes, that's quite a broad recommendation, we know; but! – you don't have to take our word for it as you can read the entire saga online, starting here. Until you come down and see it for yourself, you will, however, have to take our word that this sumptuously produced book provides an aesthetic experience all its own.